more leads and drive more sales. vendor your're listed higher on the page, getting seen by more customers. driving traffic and boosting your sales. Attract new customers and raise brand awarness with Premium! your visibility and brand awareness. 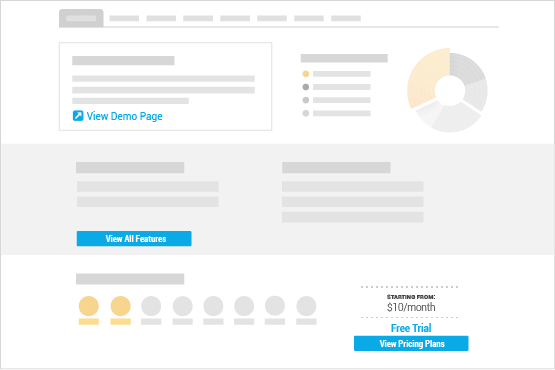 buttons that apperas on your vendor product page, linking directly to your pricing, features and demo pages, driving traffic and boosting sales. providing a boost to your ROI. the midst of their decision-making process. Get maximum exposure to your product or service starting today. If you have any questions or wish to learn more about our plans, please get in touch. Managed Campaigns: Contact us for more details about managed campaigns. Your request has been submited. What types of visitors can I expect? Switching between plans is easy and you can upgrade or downgrade at anytime by contacting our support team at: support@discovercloud.com. Can I request a partial refund before my campaign ends? We don’t have any unhappy customers. If your campaign is not over yet and you wish to get refunded, we will reimburse you for your unused budget. The minimum duration is a single month, after which the service is renewed automatically unless you choose to cancel it beforehand. After your payment is confirmed, our team will process your campaign requirements and will follow up with you to get the ball rolling. Your credit card will be charged from the first month of service when your subscription begins and, after this, on a recurring month-by-month basis (on that same date). 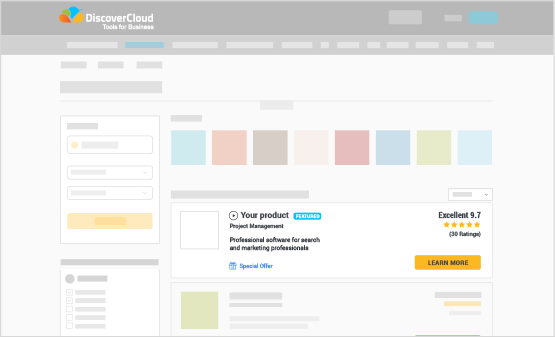 DiscoverCloud’s team of B2B media experts handles all aspects of your campaign on a day-to-day basis. An invoice will be sent to your via email immediately after the transaction is confirmed. Can I monitor my campaign’s performance? Of course. Our team provides you with a dedicated dashboard from which you’re able to track and monitor the performance of your campaign. Services can be paid either through Paypal or direct wire transfer. Please contact us for details on how to send payments.